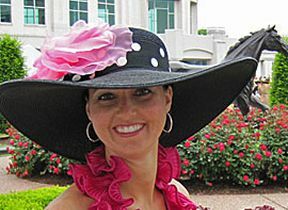 Derby Hats for women and ladies are for sale in the HAT-A-TUDE Online Catalog. I can custom trim a hat just for YOU and your outfit! I specialize in women's large and small head sizes and large and small hat brim sizes. 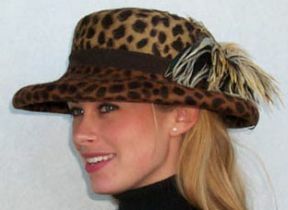 Perhaps you want to buy a dramatic Derby hat to wear to the Kentucky Derby, Kentucky Oaks or the Preakness, Gold Cup, Breeder's Cup, Belmont, Del Mar, Ascot, Saratoga or other Horse Race, Steeplechase or polo match. I also have dress hats for church, weddings, graduation or a carriage driving event. 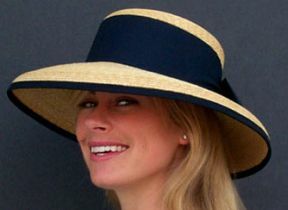 Of course, every woman needs a casual hat for everyday shopping, travel, garden, beach, "bad hair day" or to stay cool and out of the sun on hot summer days. Wear a hat and be treated like the lady you are! FREE GROUND SHIPPING IN CONTINENTAL USA (EXCEPT ALASKA & HAWAII) EXPRESS IS EXPENSIVE $48+ (better to spend that money on some new shoes!) ...Most Hats are Made & Shipped in 2-3 Days...THEN allow 5-8 DAYS for the FREE GROUND SHIPPING! I ship from Florida to California, Illinois, Indiana, Kentucky, Missouri, Virginia, Maryland, New York, Georgia, Carolina, Texas and all states in between in the USA! If you are in the continental US I can ship a hat to you FREE! 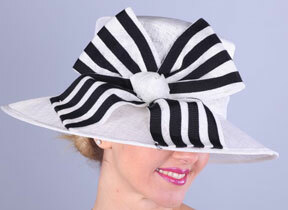 I am in FLORIDA, USA and when you email or call HAT-A-TUDE, you will talk to me, Kathi, YOUR personal Hat Designer! If you don't see the hat for your special occasion, just tell me what you want for a Custom Hat Design! Whether you are petite, tall or your head size large or small, the ONLINE CATALOG has the "looking hot sassy" hat just for you! I offer you the custom service you deserve. 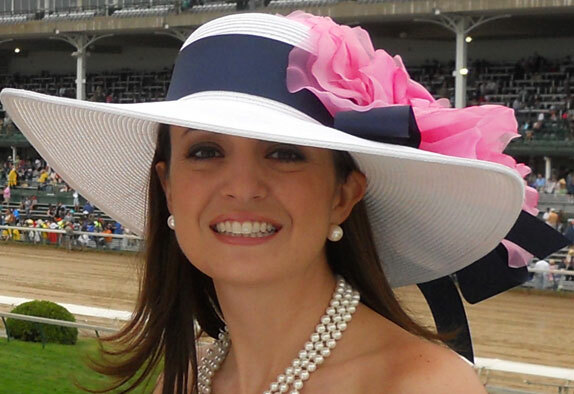 I am just an email or phone call away from helping you select your Perfect Hat. "My Hat Size" , "My Hat Style" , Summer Hat or Winter Hat Shopping Guides. IT'S MORE THAN A HAT, IT'S AN ATTITUDE!